For residents of Louisiana, Arkansas, Tennessee, Alabama, Texas, Georgia and Florida, IBERIABANK is offering up to $400 bonus when you open a High Interest Checking account and High Interest Money Market account valid through March 31, 2016. To earn your first $300 bonus, you must open a new High Interest Checking account with promo code “GET300″ and make 15 qualifying transactions within the first 90 days. Then earn another $100 bonus when you pair your new checking account with a High Interest Money Market by using promo code GET100. Get unlimited deposits, unlimited ATM, waived foreign ATM fees, in-branch, mail or messenger withdrawals and the convenience of writing up to six checks per month, and so much more. In addition, you can also earn a $250 Bonus with Chase Total Checking + Savings! IberiaBank offers solid rewards and programs for new and current customers. When you open a High Interest checking and money market, you’re on your way to a simple $400 cash bonus. With waived foreign ATM usage fees, Visa debit card, free mobile and text banking, free online banking with bill pay, and much more, Iberia bank doesn’t just offer a exceptional start-up bonus, but they offer the many necessary features that all great bank needs. Don’t forget to also see our full review of IberiaBank $400 Checking/Savings Bonus Review for more details concerning the reward. If you’re a residence of Michigan or Ohio, then I definitely recommend you register for a ProMedica FCU Premier Checking account to claim your offer of a $50 cash bonus, valid until March 26, 2016. To open an account you’ll need a PFCU membership and a savings account with a minimum $25 balance. To qualify you’ll need to set up a new recurring payroll direct deposit of at least $600/month $300 bi-weekly. As a member, you’ll get better rates, fewer fees, and more personal service. It’ll be easier to buy a car, fix up your home, build an emergency fund. Pay off that pesky credit card bill, build and plan your financial future with ProMedica. At ProMedica, your financial health, is their mission. You can also earn a $250 Bonus with Chase Total Checking + Savings! If you’re a resident of Ohio or Michigan, then you can earn a $50 bonus when you sign up for a new Premier checking account with ProMedica FCU. Remember, with a premier checking account, a recurring direct deposit is necessary. I recommend that anyone who is interested in this offer take into consideration the early termination fee period of 180 days. All-in-all this is a great FCU who cares about your financial benefit. This is an easy to earn checking bonus, I suggest you also see our full review of ProMedica FCU $50 Checking Bonus Review for more details concerning the reward. Commerce Bank is now offering residence of Colorado, Illinois, Kansas, Missouri, and Oklahoma, a chance to earn a $50 bonus when you open up a myRewards Savings account, and make monthly savings deposits for 11 months in a row. The bonus reward is calculated as an average of your deposits made to the savings account. Commerce bank has many perks to offer such as, free online banking, access to electronic copies of your 1099, up to 6 withdrawals or transfers per month, free access to funds through any Commerce ATM, 24-hour account information service, online banking, eStatement and much more! The rewards can go to your car, house down payment, college, travel, holiday gifts, and so much more. You can also earn a $250 Bonus with Chase Total Checking + Savings! For residents of Colorado, Illinois, Kansas, Missouri, and Oklahoma, I highly encourage opening a Commerce Bank myRewards Savings account to receive a $50 bonus from making 11 consecutive monthly deposits yearly. A myRewards Savings account offers a great way of getting paid while saving up for your goals! Just make sure to maintain a $300 daily balance or making at least one electronic deposit a month to avoid the monthly fees. This is an easy to earn checking bonus, I suggest you also see our full review of Commerce Bank $50 Checking Bonus Review for more details concerning the reward. For residents of Illinois, Bridgeview Bank is now offering an exclusive opportunity for you to earn a maximum cash bonus of $100 when you open a new checking account. When you fulfill the required steps, not only will you earn the bonus but Bridgeview Bank will donate $50 to the Chicago Coalition for the Homeless. All you have to do is open a new personal checking account with direct deposit or open a new personal savings or money market account with $10,000 or more, or deposit $10,000 or more into an existing personal savings or money market account. This offer is valid until February 27, 2016. With plenty of flexible options for you to earn this bonus, the Patriots program is definitely what I consider banking with a cause. Help your troops and veterans! Don’t forget that you can also earn a $250 Bonus with Chase Total Checking + Savings! Early Termination Fee: Yes, a termination fee of $25 will occur if account is closed within 180 days. 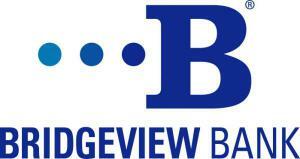 Residence of Illinois, I recommend signing up to Bridgeview Bank for a flexible $100 cash bonus, not only that, but with your account activation, Bridgeview’s Patriots Program will generously donate $50 to a local USO. I recommend not closing your account in a 180 time span in order for you to avoid any claw-backs or penalties of any kind. This is an easy to earn checking bonus, I suggest you also see our full review of Bridgeview Bank $100 Checking Bonus Review for more details concerning the reward. Consumer Credit Union is offering an opportunity to earn $50 for both you and your friends, all you have to do is refer a friend! Fill out the referral form, and when your referral opens a CCU Rewards Checking account, you’re both eligible for the referral bonus! If you already have a CCU Checking account, then I definitely recommend you give this referral promotion a try! There is no limit to how many people you refer, so the more you refer the better! To earn an additional $300 you can sign up for a Chase Premier Checking! Sign up to Consumer Credit Union for a $50 cash bonus every time that you refer your friend to CCU. Don’t forget, to fulfill any necessary requirements on the referral form PDF, and your eligible friend must be eligible for a CCU rewards checking account in order for you to receive a $50 cash bonus. Also, I recommend not closing your account in a 6 months time span in order for you to avoid any claw backs of any kind. This is an easy to earn checking bonus, I suggest you also see our full review of Consumers Credit Union $50 Referral Checking Bonus for more details concerning the reward. Pinnacle Bank is now offering residents of Texas an exclusive opportunity to earn a $100 bonus when opening a free checking account, and making the minimum deposit requirement. While signing up for Pinnacle Bank’s Free Checking Account, be sure to type in the coupon code “Fort Worth” for this promotion. Promo code expires February 28, 2016. 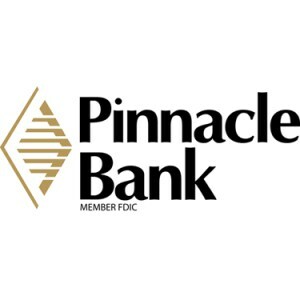 Pinnacle Bank not only gives you an easy $100 bonus, but they offer they many perks of efficient banking such as; free online banking, bill pay, free debit card, and no hidden fees. If you’re interested in this offer, then I suggest you keep reading on! To earn an additional $300 you can sign up for a Chase Premier Checking! Don’t forget, with a Pinnacle checking account you must be able to establish a direct deposit totalling in $250 within 60 days of account initiation. Also, Remember to keep your account open and in good standing within 180 days in order to avoid any claw-backs of any guaranteed money you were promised. This is an easy to earn checking bonus, I suggest you also see our full review of Pinnacle Bank Checking $100 Bonus for more details concerning the reward.